There was a time when immigrants fought to get out of the gritty Lower East Side, but some of their descendants are fighting to get back in as the area has been revitalized. That battle is becoming a bit harder as condominium prices start hitting highs comparable to those in pricier Lower Manhattan neighborhoods like SoHo, NoLIta and NoHo. One of the newest condo developments to be marketed on the Lower East Side — stretching from Houston Street to the Brooklyn Bridge, and the Bowery to the East River — is 50 Clinton. 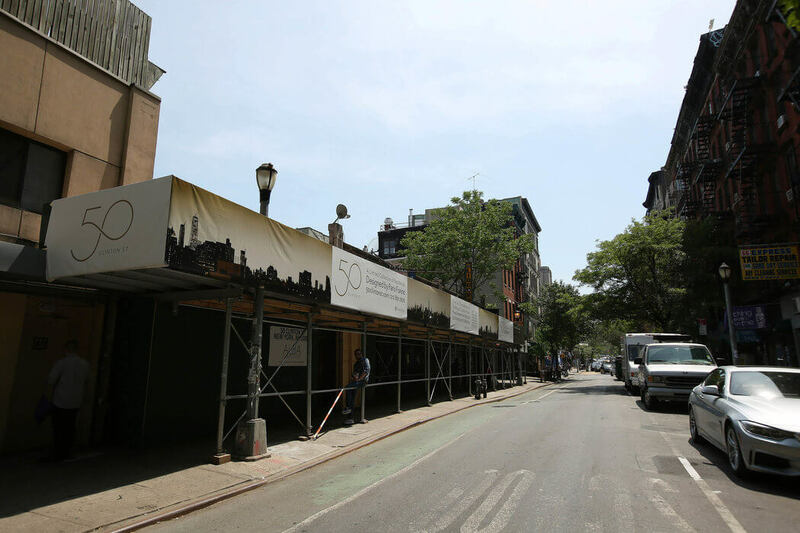 Demolition to make way for the seven-story masonry building, which replaces a row of one-story shops that included the restaurant WD-50, began in May, with occupancy set for the fourth quarter of 2016, said Daniel Hollander, a managing principal with the New York developer DHA Capital. A roughly 2,000-square-foot retail space with about 60 feet of frontage on Clinton Street may become a restaurant or art gallery, said Josh Schuster, a DHA Capital principal. The development sold more than 40 percent of its 37 units after less than three weeks on the market, achieving an average price per square foot of around $2,100, said Fredrik Eklund, the agent with Douglas Elliman Real Estate who is handling sales at 50 Clinton. That is almost twice the $1,167 average price per square foot for Lower East Side condos over the last year, and well over the $705 per square foot average price of co-ops, according to data provided by CityRealty, a real estate listings and research service. And two of the four penthouses at 50 Clinton sold for more than $2,900 a square foot, Mr. Eklund said. Units at 50 Clinton are about 650 square feet for one-bedrooms and 900 to 1,200 square feet for two-bedrooms, Mr. Hollander said. (There is one three-bedroom unit of 1,246 square feet.) Prices range from about $1.25 million to $3.5 million. The interiors, which have high-end finishes and appliances, were designed by Paris Forino, and amenities include a 24-hour doorman, a landscaped roof terrace, a fitness center and bicycle storage. Many of the buyers have been young single professionals or couples, some with parents footing the bill, though they have not been students, Mr. Eklund said. But all have paid in cash. 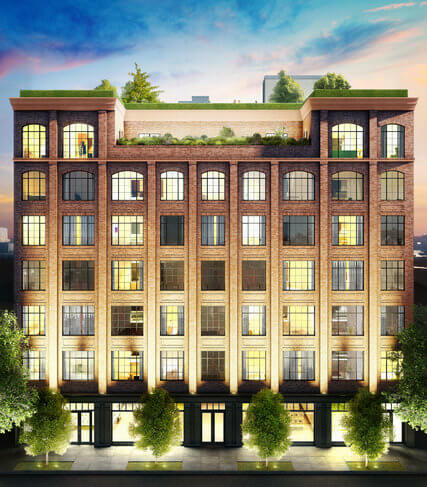 The buyers are similar to those who bought at the 28-unit 250 Bowery around 2013, a celebrity-studded cash-flush crowd who paid an average of $1,891 a square foot, Mr. Eklund said. Sales of co-ops, which are cheaper than condos, predominate on the Lower East Side, so the average price increase for all apartments from the second quarter of 2013 to the first quarter of 2014 was only 4.2 percent, said Gabby Warshawer, the director of research at CityRealty. “So not a huge upward shift, but decent,” she said. Still, a number of other glossy new developments on the Lower East Side may help to nudge up prices, like 215 Chrystie, a hotel-condo with 11 condo units, including a penthouse listed at $18.75 million. Other projects include 100 Norfolk Street, with 38 units; 179 Ludlow Street, with six units; 204 Forsyth, with 11 units; and three new developments on Attorney Street with a total of about 64 units. The 1.9-million-square-foot, six-acre mixed-use Essex Crossing will have about 1,000 apartments — half set aside for low-, moderate- and middle-income tenants — as well as shops, restaurants, a movie theater, parks and gardens. The first phase of the project, developed by Delancey Street Associates, is moving forward. When the development is completed in 2024, Mr. Schuster said, it should add cachet to a neighborhood already under transformation. An article last Sunday about 50 Clinton, a new condominium on the Lower East Side, misstated the given name of a principal of DHA Capital, the developer. He is Josh Schuster, not John.